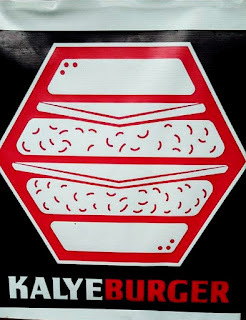 Kalye Burger: Gourmet Burgers For Under P150! Ever since I became a Zomato foodie, it has become a habit of mine to scout up and coming restos, hangout and coffee shops that serve good food with a twist or with different tastes. Sometimes, I really go out of my way to try a new joint if I see positive feedback - of course, the experience gives me something new to write about too! Gourmet burgers have become a new thing in the food business these days. It's like anywhere you look, there's a burger joint that pops out of nowhere! Each has unique styles to put a twist to an ordinary hamburger we used to just order from a fast food. I have been hearing my friends and neighbors talk about this new place nearby that serves really good burgers. They even said, it's "Cali Burger" inspired but way, way, more affordable. So imagine my delight when I found out that this hidden gem of a foodie hangout sits right in the heart of the community where I live - Guadalupe Viejo! So guys! 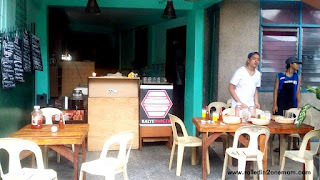 Let me introduce to you, KALYE BURGER - a no frills, come as you are joint that offers gourmet burger for under P150 pesos! Amazing right? Not a girl to let a foodie adventure pass, I along with some work friends of mine, immediately lined up to get our fill of this much talked about place and here are some of my faves that I'm sure you guys would love too! Kalye Burger with cheese - this is one of the best cheeseburgers I have ever tasted. No doubt about it. Imagine this, for just P60 pesos, you will get to devour this burger with pure beef patty that is not at all greasy and doesn't leave a stinking aftertaste. 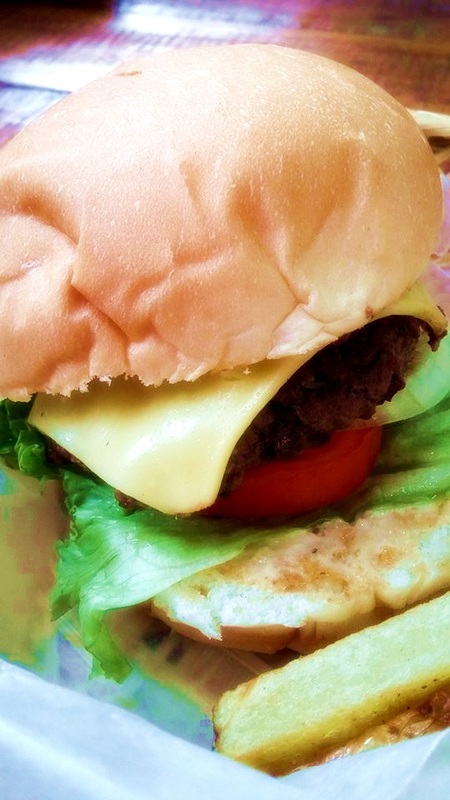 Their thick burger patty is bursting with flavors and would leave you wanting for more. There's a smokey taste to it that gives you an impression that it is charbroiled. 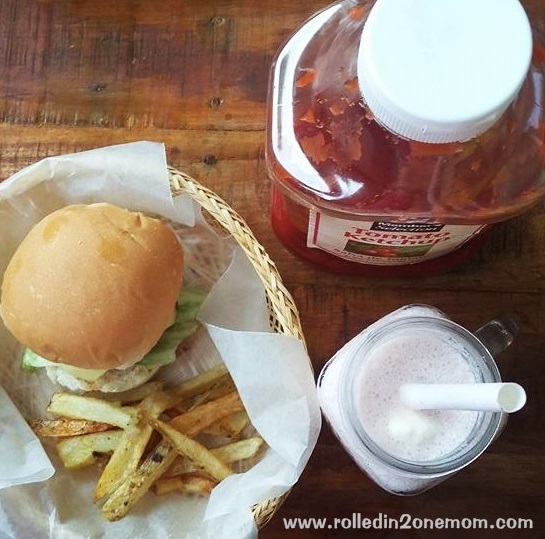 Their Kalye Burger with cheese meal comes with thick cut french fries which goes the same with their patties, non-greasy! Served hot and crispy, it bursts with steamy potato goodness. 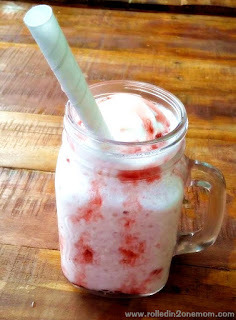 Kalye Strawberry Milkshake - unfortunately, their meals don't come with drinks but still, they offer very affordable refreshments that you can pair with your meal. I ordered this sweet little thing because I am a sucker for milkshakes and I super love strawberries! I found it very satisfying though it still needs a little more vanilla ice cream to make it's frothy goodness a little bit thicker. But overall, I don't have any complaints. Just right for the price of P80 pesos! Okay, so I have shared with you my favorite Kalye Burger foodie goodies but really, they have bestsellers that I advice you to order if ever you decide to drop by the place. The buffalo wings is the newest addition to their expanding menu. King Kunta triple patty burger with bacon, cheese, tomato, lettuce and onion. 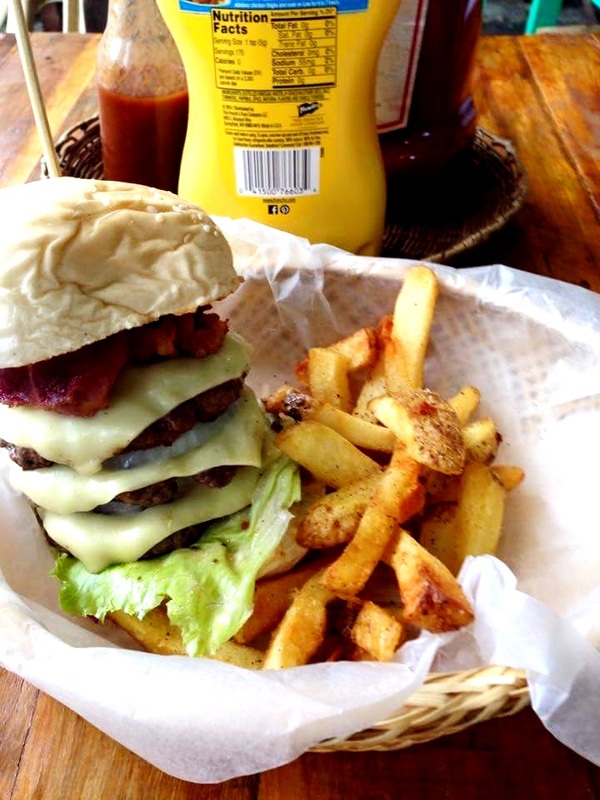 If you're feeling a little more adventurous or just plainly hungry, why not try their King Kunta burger - this triple all beef patty with tomato, lettuce, onion and cheese and ehem, bacon screams party in your mouth! 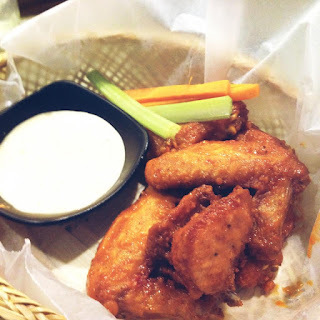 This flavorful goodness comes with thick cut fries too and this will cost you just P135 pesos! Not enough to break your bank, right? Don't you worry if all their meals don't come with drinks because they offer bottomless iced tea for only P25 pesos! Nope, not bad at all! Simple. No frills yet a hidden gem that's about to be a big thing soon! So what are you waiting for? 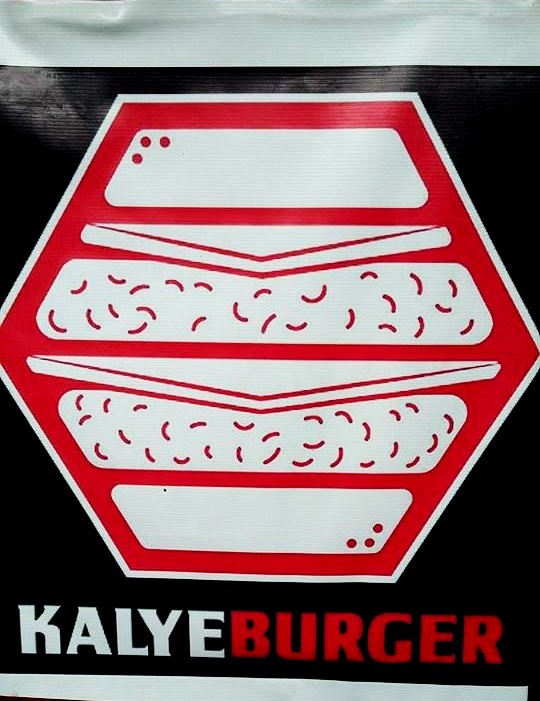 Gather your friends and head on out to the next big thing in affordable gourmet burgers - Kalye Burger. 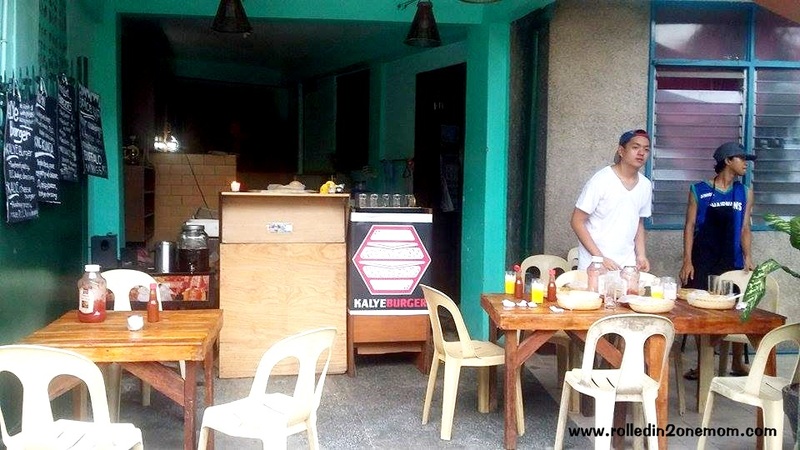 Kalye Burger is located at 6996 Jasmin Street, Barangay Guadalupe Viejo, Makati City. You can call 09267799036 to call ahead for your to-go orders or to make table reservations.